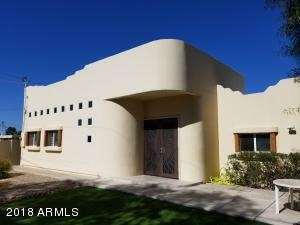 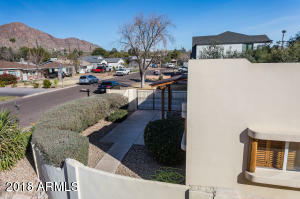 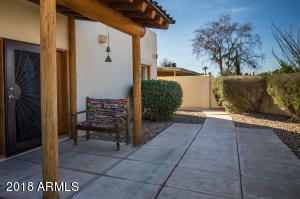 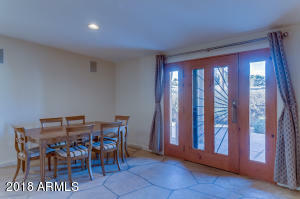 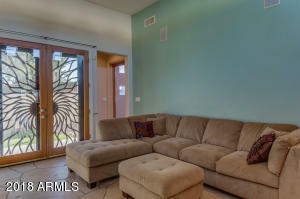 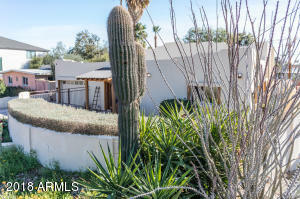 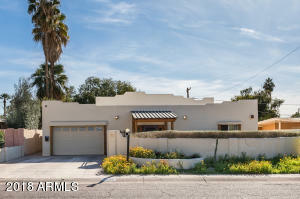 Relax and unwind in this Comfortable Southwest Home, prime Arcadia neighborhood, canal access a block away, you can walk or bike to great local restaurants, shops, grocery, greenbelt... 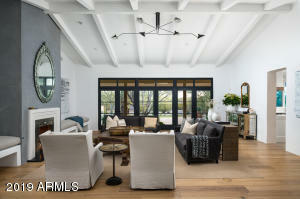 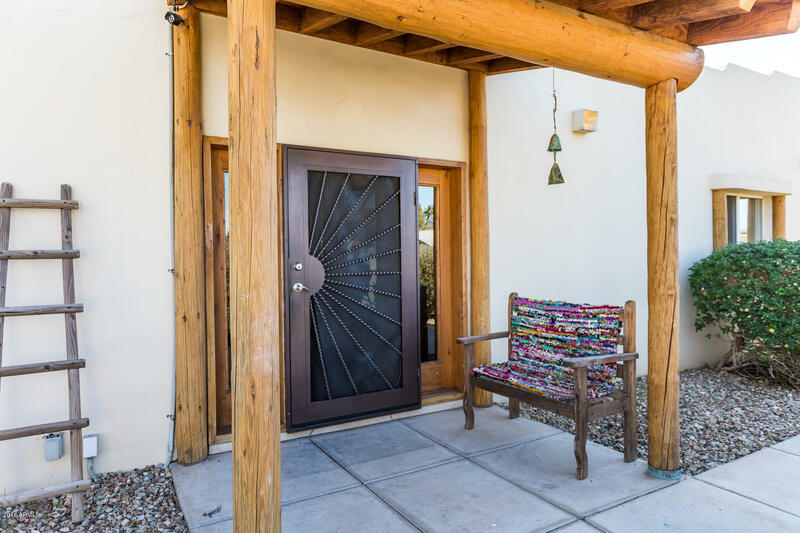 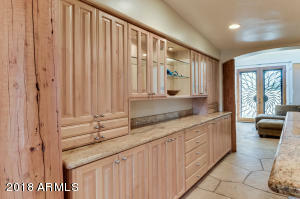 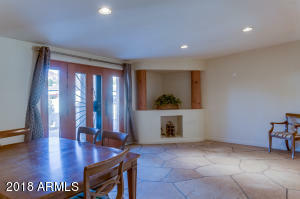 Inside you will find handcrafted flagstone floors, exposed wood pillars, maple cabinets, and lots of natural light. 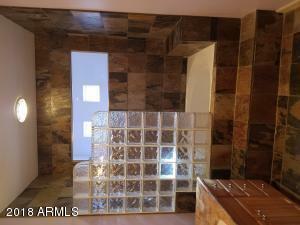 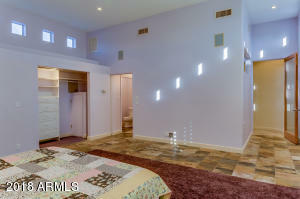 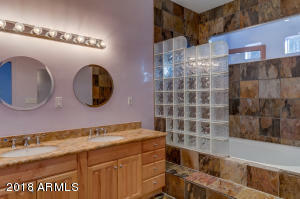 Split Floor Plan, secluded master includes elevated ceiling and soaking tub with dedicated water heater. 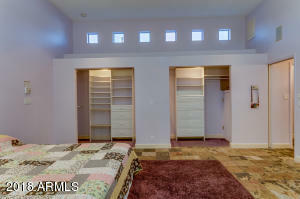 Two front bedrooms with a full bath . 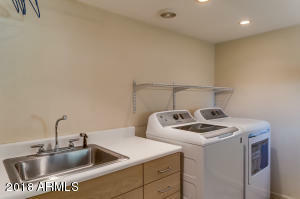 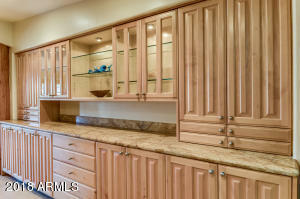 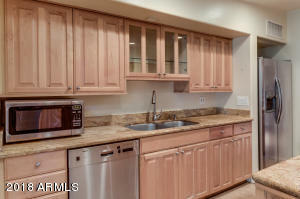 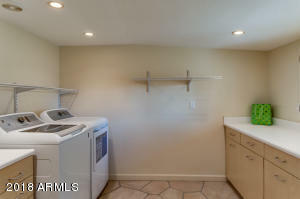 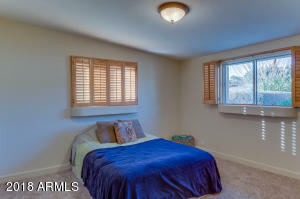 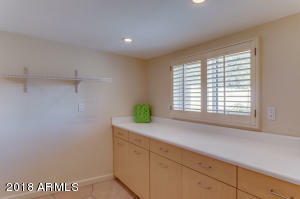 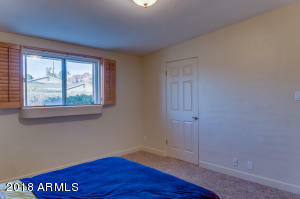 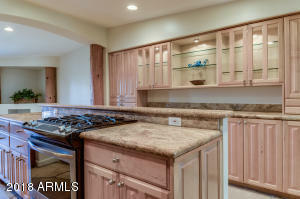 Wood shutters and ceiling fans throughout, new energy star appliances, large laundry room, new carpet in bedrooms. 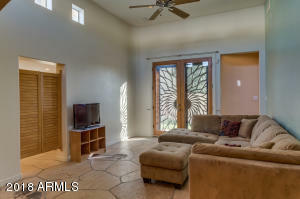 Dual AC unit with split climate control, extended length garage with storage room, RV gate in back, raised bed garden boxes, gas BBQ on back patio. 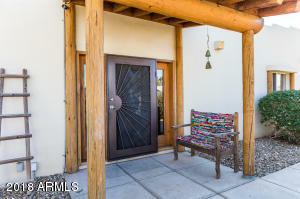 Private front courtyard, full view of Cambelback Mountain. 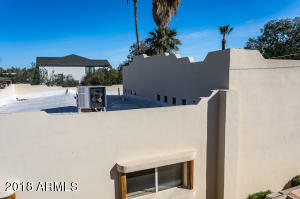 Rooftop patio can be added! 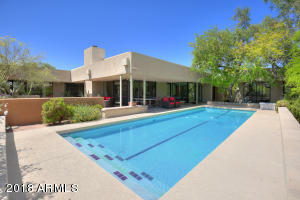 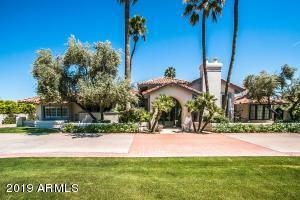 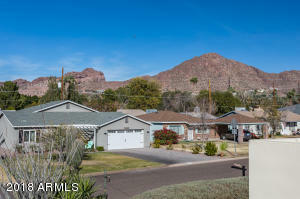 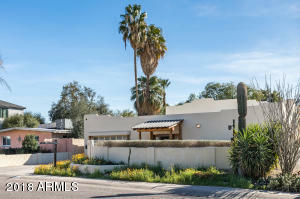 North of Indian School, South of Camelback, from 44th street go east on Glenrosa two blocks. 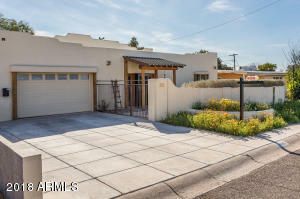 Home is on the the southside of Glenrosa.